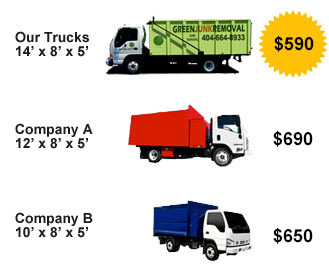 Our Midtown Atlanta and North Georgia commercial warehouse cleanup and recycling division works with property management companies, retailers, public storage companies, contractors, realtors, retail commercial landlords, business owners, Attorneys, and Fortune 500 companies to assist them in getting rid of their office and warehouse junk. We do complete office and warehouse clean up from A to Z. We remove general business trash and debris, cardboard boxes, pallets and shipping crates, office furniture, shipping supplies and equipment, industrial machines, shelving units, 55 gallon drums, manufacturing equipment and machinery, office paper and documents, appliances, all electronics, storage unit contents, workstation cubicle panels, business machines, computers, copy machines, and MUCH MORE. Basically anything non-hazardous!